Watch Buyer's Guide 2018-What's in? Watch Buyer’s Guide 2018-What’s in? There always comes a time in our life when you feel the itch to buy a watch. There is a feeling of euphoria that comes with buying the proper watch, but there are so many choices. How do you know which watch to pick? If you are reading this, that must mean that you are no longer satisfied with only viewing your time on your mobile phone. You are not alone, a lot of cool people are into watches as well as shown in this gq article. You want a legitimate watch, maybe to tell the time, maybe to make a fashion statement. Whatever the reason is, we have you covered with this watch buyer’s guide. Movements are one of the first things that any watch collector learns about. Movements are literally what makes your watch “tick”. The movement of your watch is the mechanism inside that powers it, the mechanism that actually moves the minute and second hands. There are two major movements in the watchmaking world. One of them is quartz, this is the type of movement used in the majority of the less expensive watches because it’s cheap to make and pretty accurate. In a quartz movement watch, the battery sends an electrical current through the quartz crystal. This crystal then becomes electrified and begins to vibrate, the vibrations power the motor to move the hands on your watch. The other type of movement is the mechanical movement, the mechanical are considered the luxury watches. 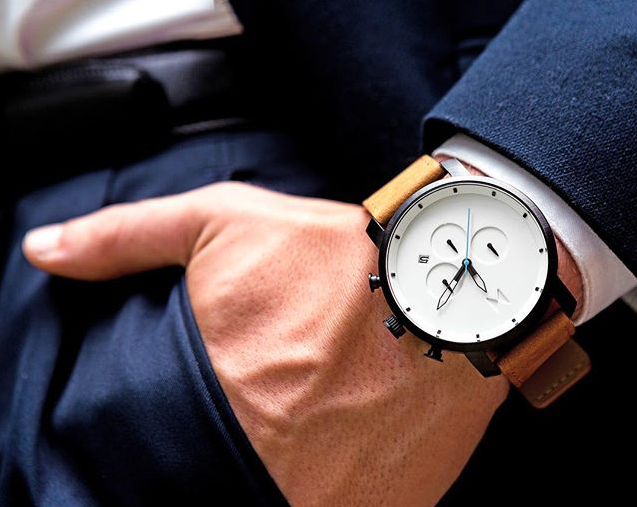 They take an increased level of craftsmanship to create and people get these types of watches for the same reason they pick luxury cars over toyotas. The mechanical watches do not use batteries. They are powered by pure kinetic energy. A spring is wound up and the stored energy from the springs is transferred through gears and springs that release energy and power the watch. A more expensive variation of the mechanical watch is the automatic watch. The major addition to the free-spinning rotors that generate energy with every movement you make. Whenever you move your wrist, the rotor spins and generates energy to wind the spring. The same reason this watch is so cool is also a minor downside as well. If you are not moving frequently, you will need to wind it with your hands or a watch winder. There are also less expensive automatic watch options as well according to ItsHot. The watch case diameter is the most noticeable part of the watch size. Men’s watches can have a diameter that is anything from 38mm to 46mm. A watch with a diameter above 46mm is usually too large and is only reserved for the flashiest of outfits. A watch with a diameter below 38mm is going to start to look like a woman’s watch. Then, there is the watch band width. The watch band width can range from 18mm to 24mm. The watch band width can depend on your preference. However, larger widths tend to work well with bigger wrists. Smaller widths tend to work better with smaller wrists. A leather band will create the appearance of a smaller watch. This means that watches with leather bands with look better on smaller wrists. Metal wristbands are always going to appear larger because of the nature of metal. Metal wristbands are a great choice for men or women with larger wrists. Buying a watch can be a very cool experience and will open you up to a whole new world of watch collecting. You will finally be able to relate to other watch connoisseurs and see what all of the hype is about.